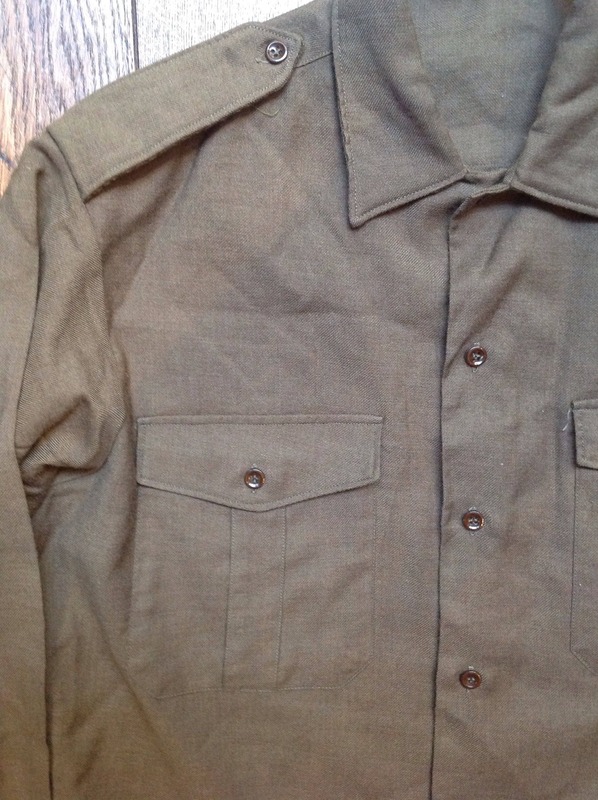 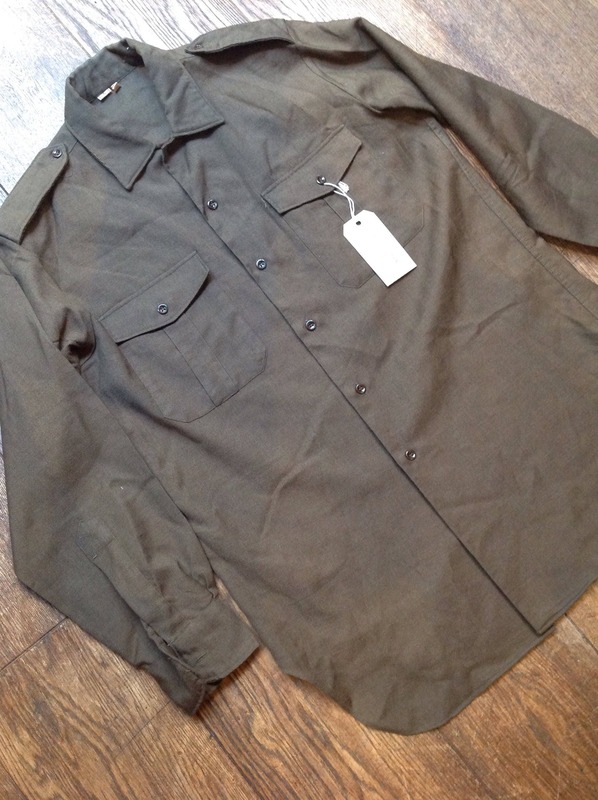 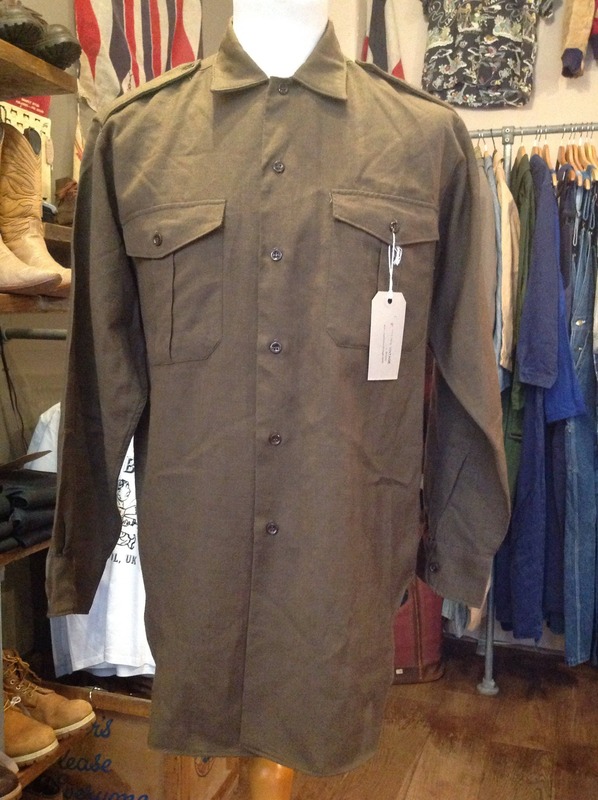 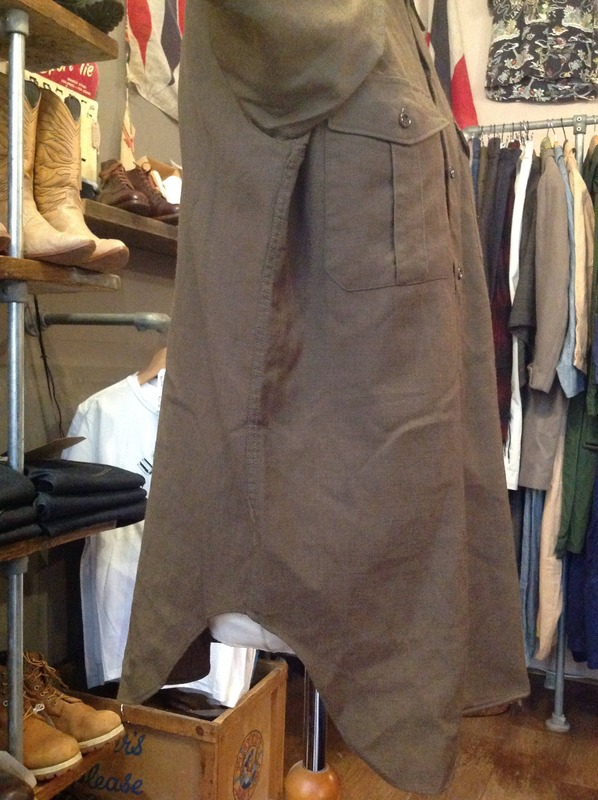 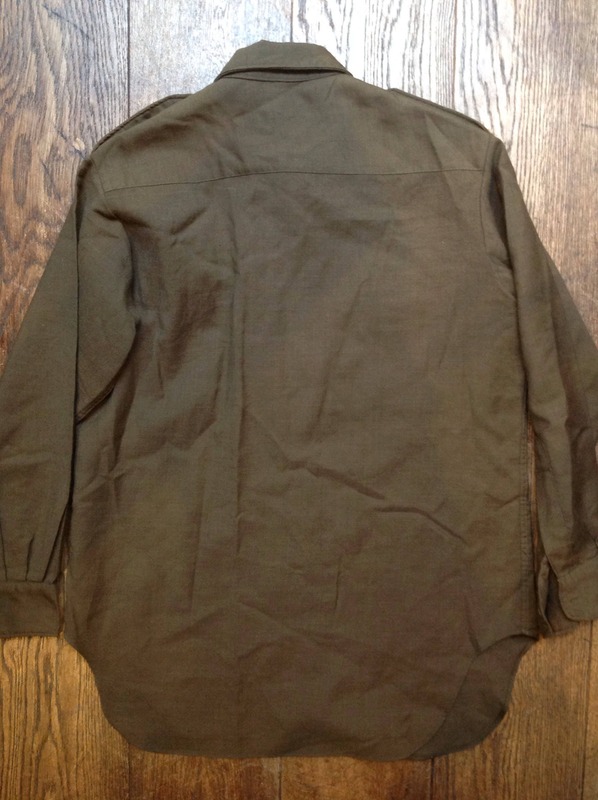 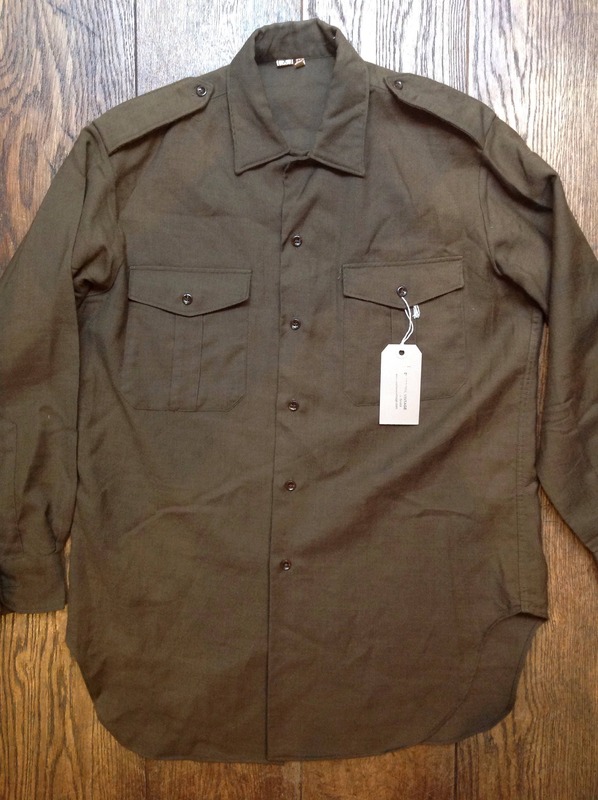 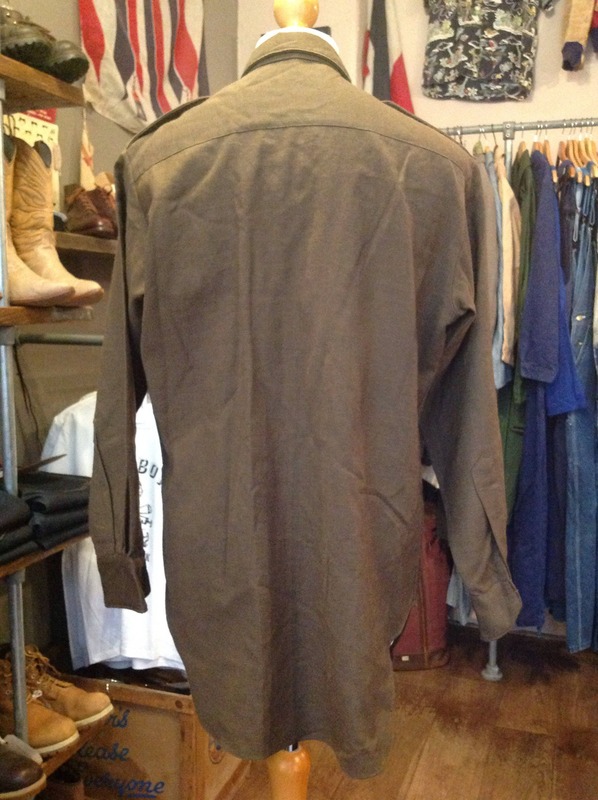 A khaki green wool shirt dating from the 1960s. 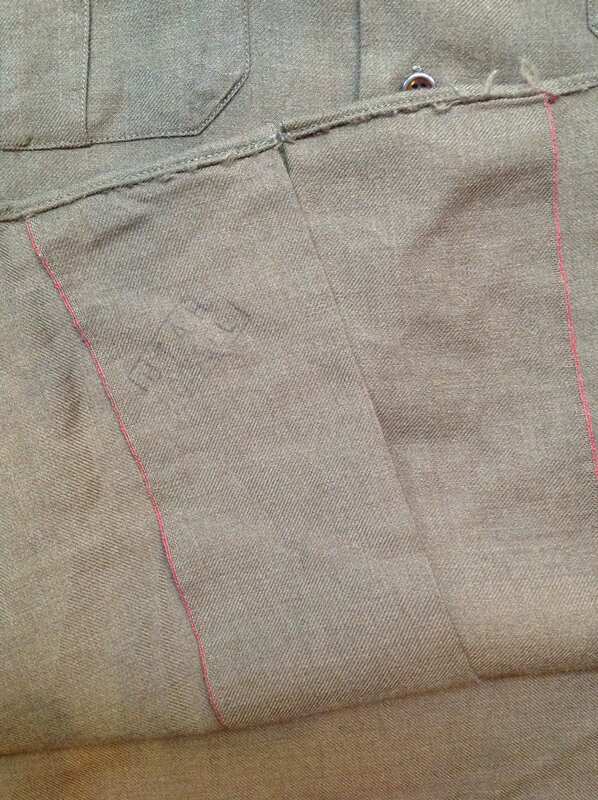 Noted flaw - missing the right cuff button. 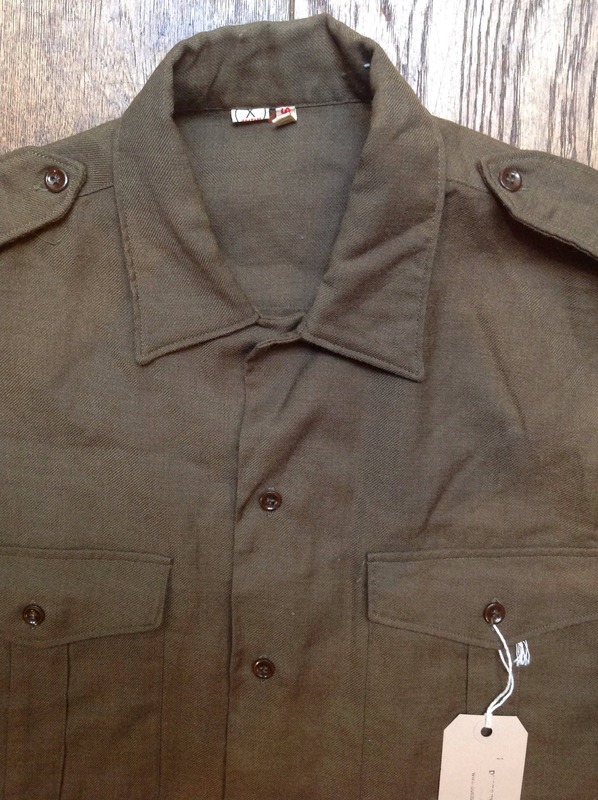 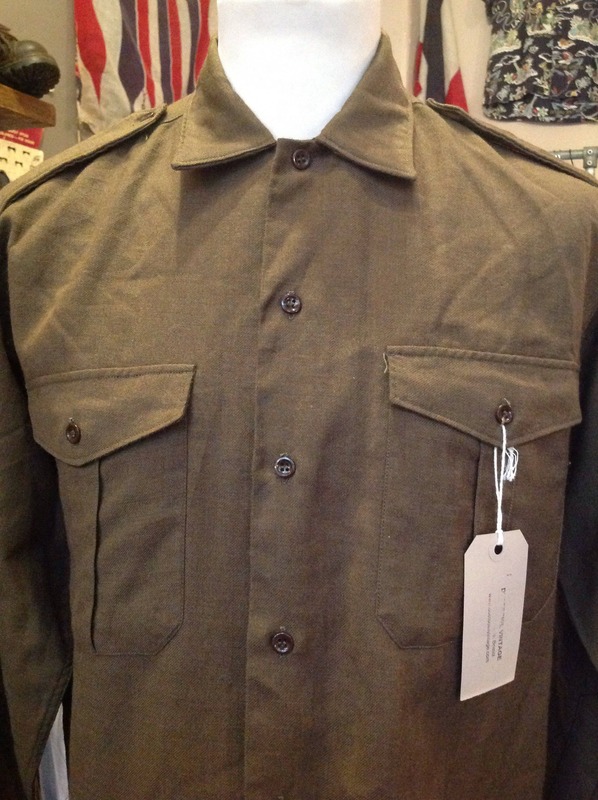 Excellent condition otherwise, red selvedge, pleated chest pockets, button down shoulder epaulettes, stamped Utah Oissel inside, collar tag appears to be European or perhaps French Canadian.